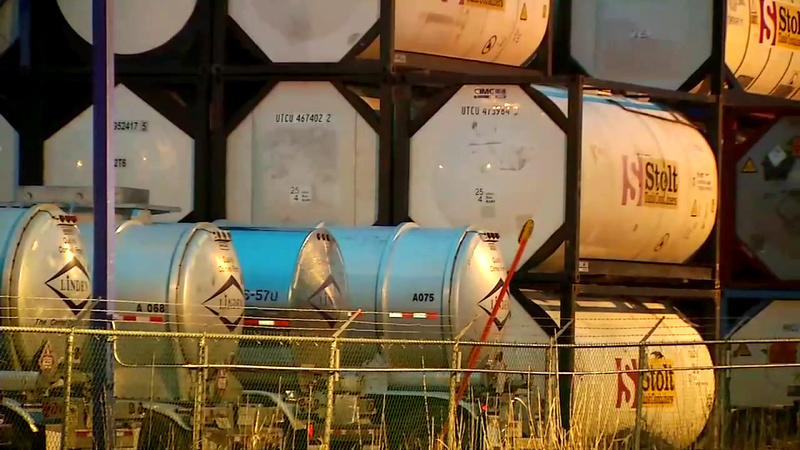 LINDEN, New Jersey (WABC) -- Police in New Jersey located a truck they believed was leaking a hazardous chemical with a foul odor. Linden police said the truck left Bayonne Tuesday at about 2:15 p.m. and was headed toward Linden. It was found just after 4 p.m. It was carrying Ethyl Acrylate, a chemical used to produce rubber. Sebastian D'Elia, spokesman for Union County, said only a small amount of the chemical leaked -- but the odor was very strong. Officers were searching for the truck for some time, and found it at its destination point on Tremley Road in Linden. It was determined the truck had a bad valve, which has been repaired. Linden police said they found traces of a chemical spill along North Wood Avenue. Officers were telling drivers in the area to keep their windows closed, but officials said there is no danger from the leak. Hazmat teams checked out the area where the spill happened, and determined it to be safe. Five students were treated and released from Bayonne Medical Center as a result of the spill.